Phil Cowles in 1959, at seventeen years of age, had graduated high shcool, moved to Winston Salem to get his North Carolina Barber License and become a full time barber. Phil started his career at the CharlotteTown Mall-Charlotte’s first mall and one of the first in the region. Several years later he purchased his first barbershop in the downtown Charlotte’s Manger Motor Inn. The Manger was at the time, one of Charlotte’s finest hotels. He then purchased his shop at Park Road in 1972, after his wife Martha also completed her barber training. Phil currently still owns and operates the establishment along with wife and daughter Melanie. Phil has enjoyed over the years of getting to know the Park Road area families and even cutting the hair of three generations in one family. He has become a family tradition for many locals in the area. Martha Cowles in 1971 set off each week, leaving her husband and 5 year old daughter behind, to get her NC barber’s license in Winston Salem. She came home only on weekends for almost a year until she finally graduated just in time for herself and her husband Phil to open their new shop in Park Road Shopping Center. 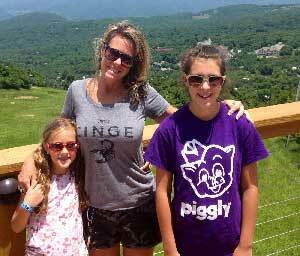 Through the years, she and her husband have worked side by side to build their business while raising three children. Although Martha has enjoyed motherhood and being the stay at home mom, she has never stayed gone from the salon for long. She also loves cutting hair and talking to all the many customers that came through in a day. It wouldn’t be long before Martha knew your name and about you and your family if you visited Modern Haircutters for a haircut. Melanie Cowles Prentzas, the daughter of the owners has been in the hair industry since 1990. A North Carolina liscend barber, she worked for the national hair care company, Redken for five years teaching color and haircare techniques to stylists thur out the southeast. She later joined the salon full time in 1995 and currently is part time stylist and full time mom. Melanie enjoys working in the family atmosphere getting to know the families that come in the salon, and especially the variety of serving men, women and children. 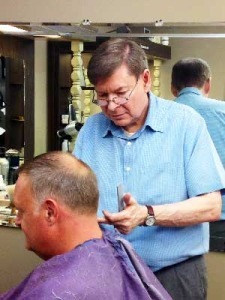 Dan Fincher has been a barber serving Park Road and Dilworth areas since 1983. He is a native Charlottean and resident of Myers park.